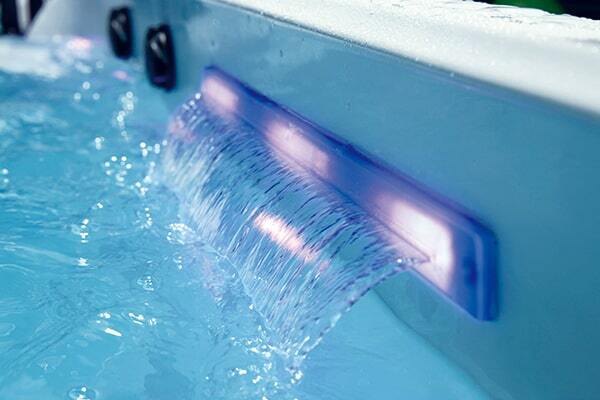 The Endless Swimming Pool forms a directional water flow in a limited space, allowing swimmers to swim against the endless pool machine, similar to the principle of a water treadmill. Since swimming is a kind of "aerobic exercise", regular "aerobic exercise" can greatly improve various functions of human body so to reach a balance of physiological indicators and shape of human body and keep health of human body. The water speed of Endless Swimming Pool is the swimming speed of the swimmer. The adjustable range of the water speed is from 2 to 210 meters per minute (Olympic crawl 1,500 meters record holder is 103.3 meters per minute, and the general person is about 75-85 meters per minute), ie swimmers can complete 1.5 km non-steering swimming distance within 15-20 minutes. 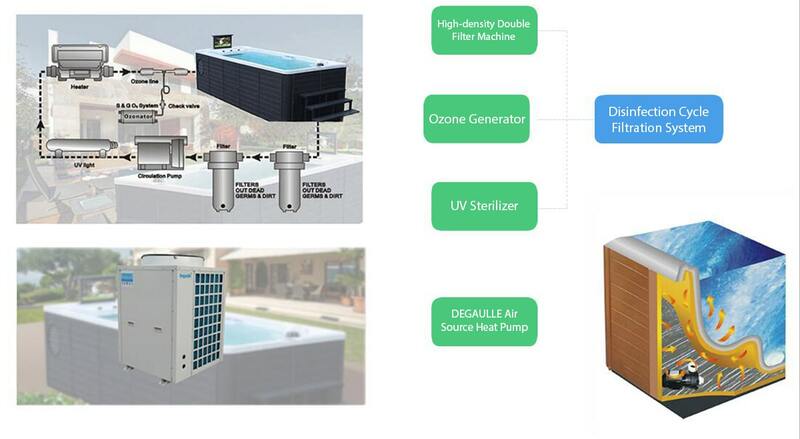 Integrated swimming pool disinfection, filtration, constant temperature, massage system. 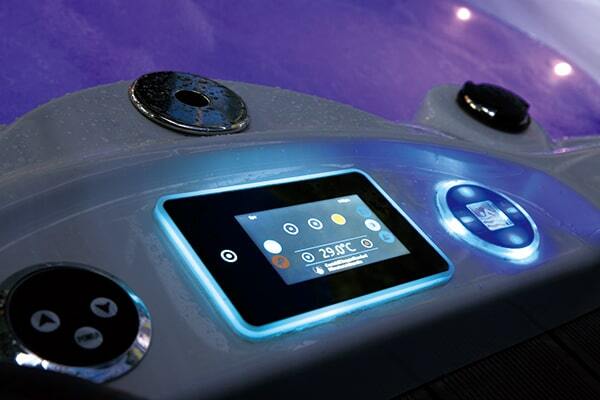 with swimming mode,they all can be operated through the operation panel. 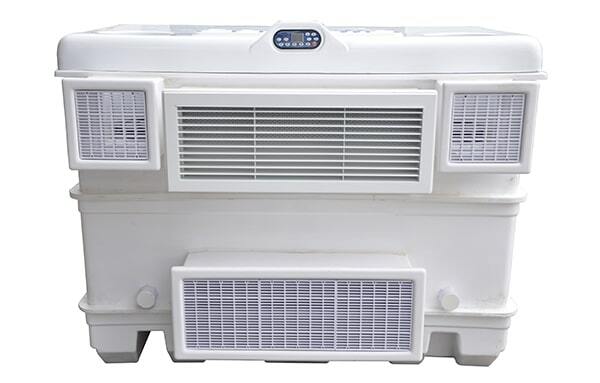 It can reduce the evaporation of swimming pool water and save water, and can better isolate the heat loss so that the swimming pool can maintain suitable swimming temperature. 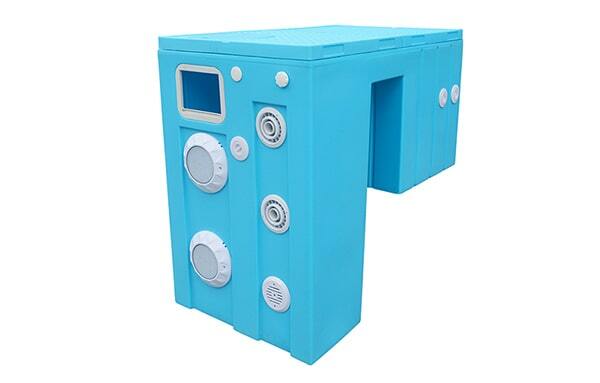 The most important thing is that the cover with the password buckle which can increase the safety of the swimming pool and prevent children from entering the pool alone. As for elderly man and children, there is more chlorine in the general public swimming pool (used for disinfection of swimming pools) and it will hurt the skin. Public swimming pools are also prone to spread diseases, especially pinkeye. 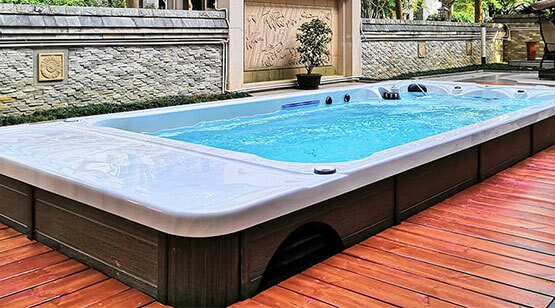 1KW electric energy of DEGAULLE Endless Swimming Pool can produce 4-5KW thermal energy, which is 4-5 times that of ordinary electric heating energy efficiency, and the built-in installation method does not need to occupy additional space, and does not require additional installation. 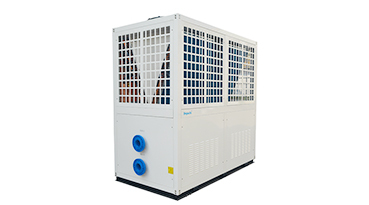 The initial replenishment water temperature is 15°C, and the design water temperature is 28°C. And the initial heating time is only 16H, and the power consumption is 35 degrees. 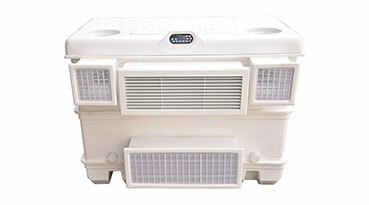 In spring and autumn, energy consumption is only 9 degrees/day, and in the winter it is only 12 degrees/day. DEGAULLE Endless Swimming Pool is with swimming function and spa function together. 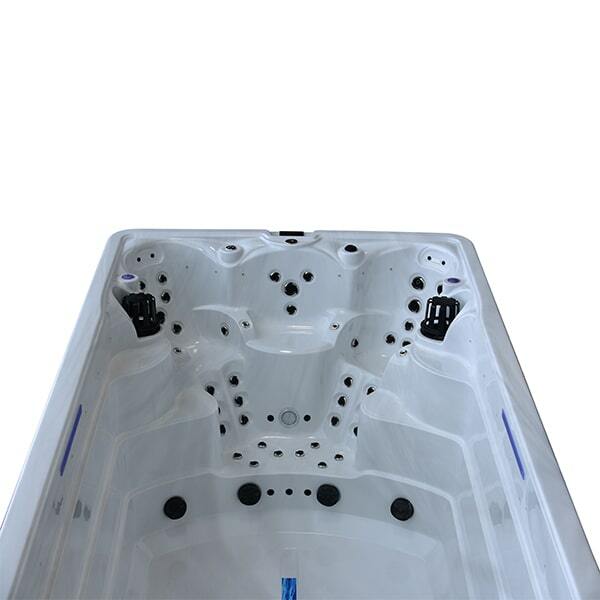 Swimming area has a smooth, counter-current swimming propulsion system that can adjust the strength of different water flow. 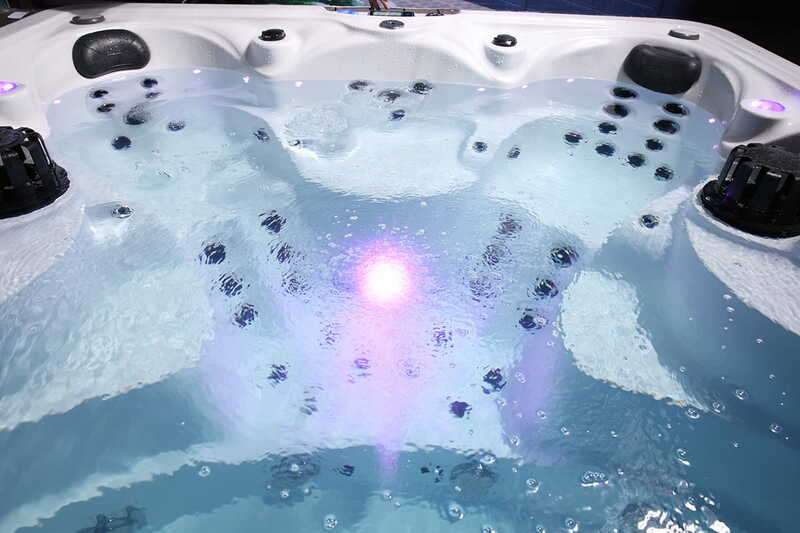 And spa area offer jet-type hydro massage seats. 6. DEGAULLE Endless Swimming Pool can provide you with 12 different swimming speeds. And then how far and how long you want to swim as you can. And you can burn your calories at any time , but you can avoid joint pain that can result from excessive exercises. No matter what kind of swimming posture you are, you can perfectly swim. 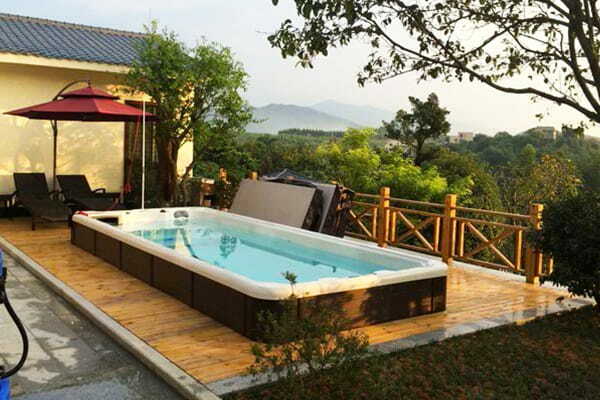 Compared to ordinary villa pool, the Endless Swimming Pool has unparalleled advantages: zero engineering, swimming more enjoyable, more advanced functions, more affordable costs, and easier use. 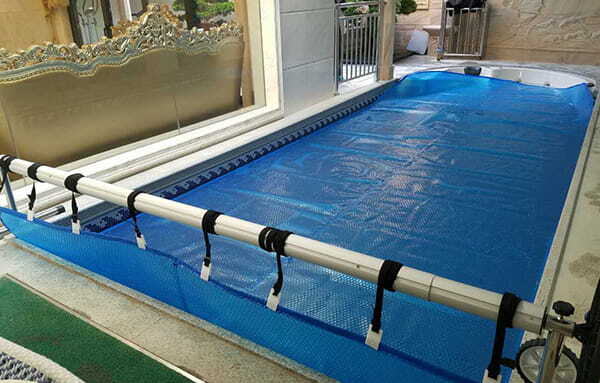 Material: The pool wall is made of imported Acrylic, and the pool skirt is made of plastic wooden/wood. 1. No engineering. 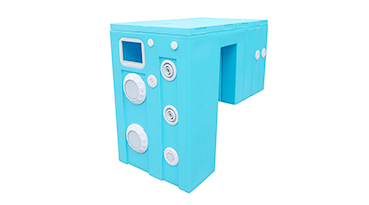 It is equipped with stairs and it is a ready-to use product. 2. It can be buried in ground with little construction. Machine Room: no need machine room. 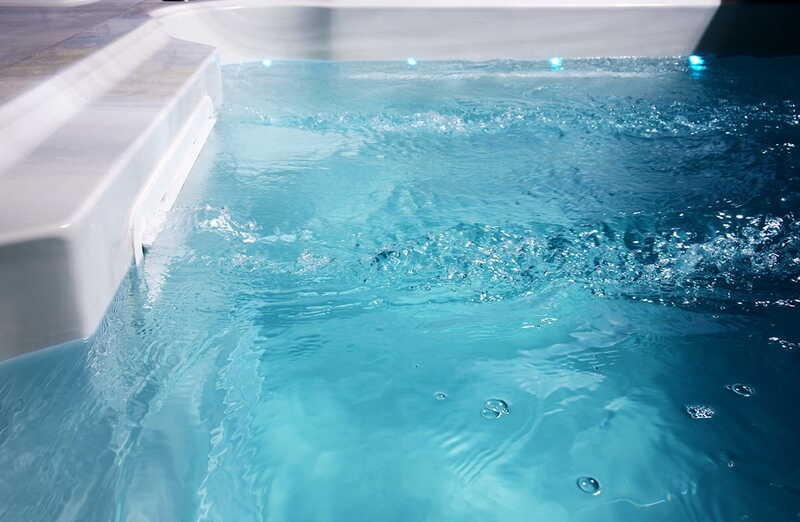 The Endless Swimming Pool is equip with itself water treatment system. 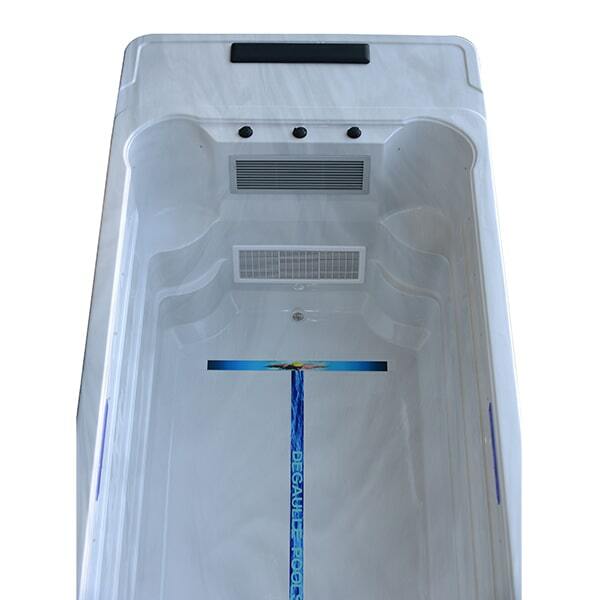 Material: Pool liner or concrete mosaic. Engineering: Need concrete construction, build swimming pool base first, with large amount of engineering. 1. Need to equip small machine room. 2. Need to equip integrated water treatment equipment without machine room. 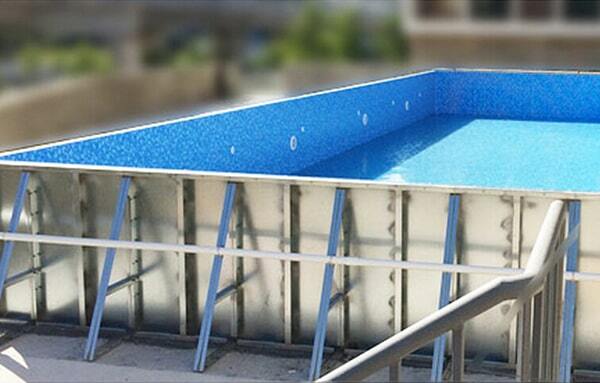 The volume of swimming pool is 21m3 with around water volume 9t. 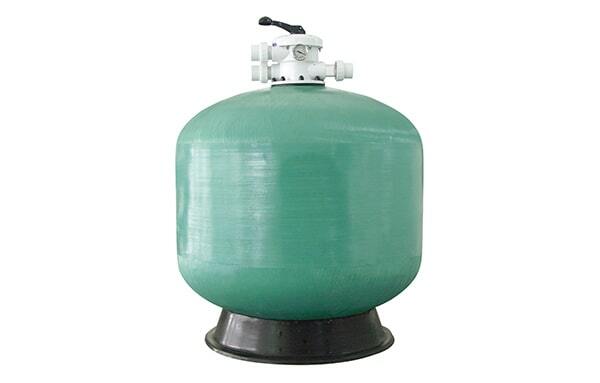 The volume of swimming pool is 50-100m3 with water volume 50-100t. Swimming distance is the longest distance of the swimming pool, generally 5-10m. Swimming: With large water flow, you can enjoy swimming quite a lot. 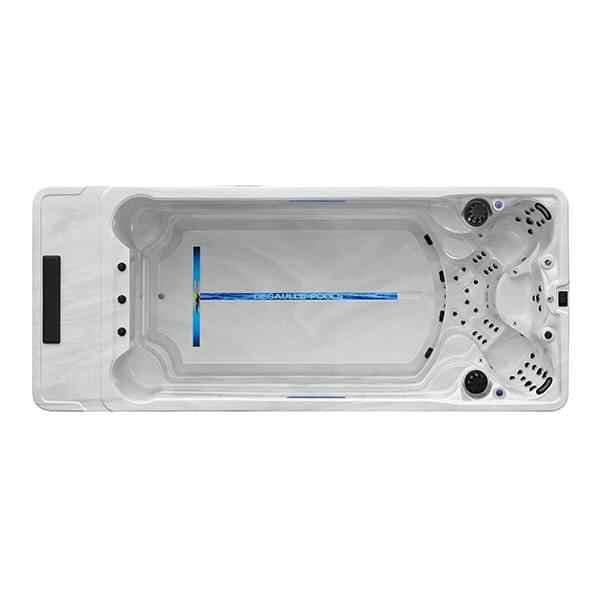 Spa: Equipped or optional spa massage function. 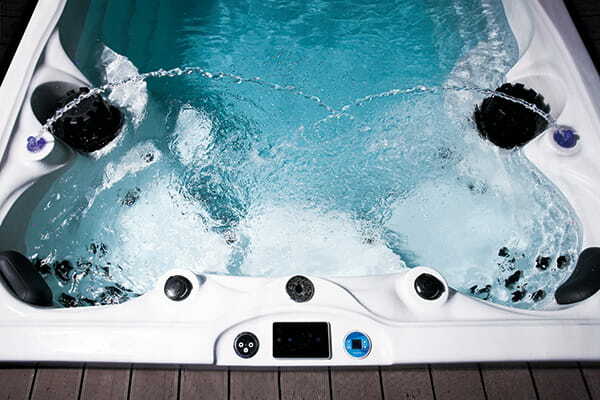 Swimming Pool Heating: the pool system equips heating system itself. 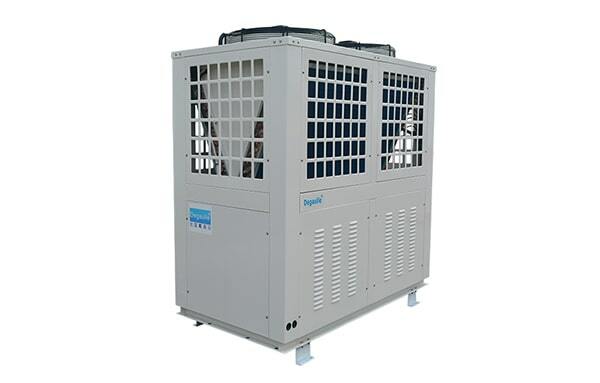 Maintenance: Small maintenance, easy operation; most functions are integrated on the control panel. Some functions require manual operation. 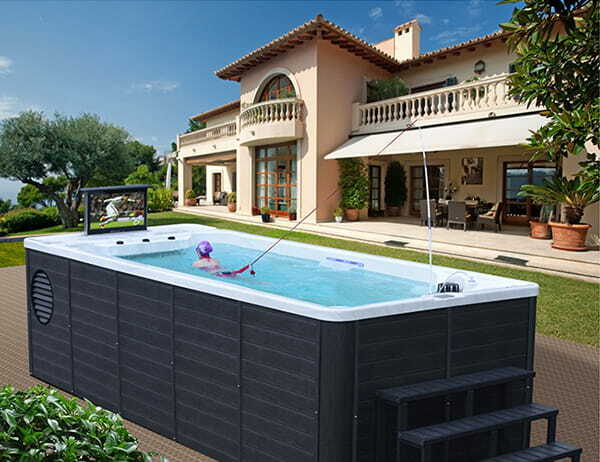 Mobility: The location of the pool can be moved as needed to make the choice of villa courtyard more diversified. Maintenance: Need professional staff to maintain the machine room. After finishing the pool construction, the position of the pool is stable. 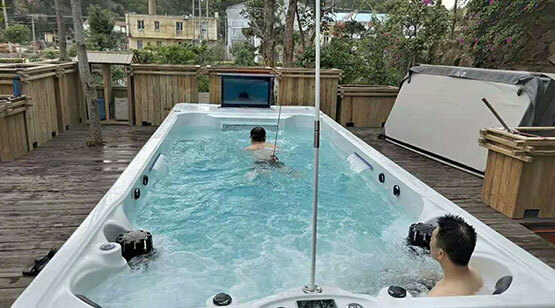 DEGAULLE Endless Swimming Pool has different installation methods .So no matter where you want to place it, it can meet with you. 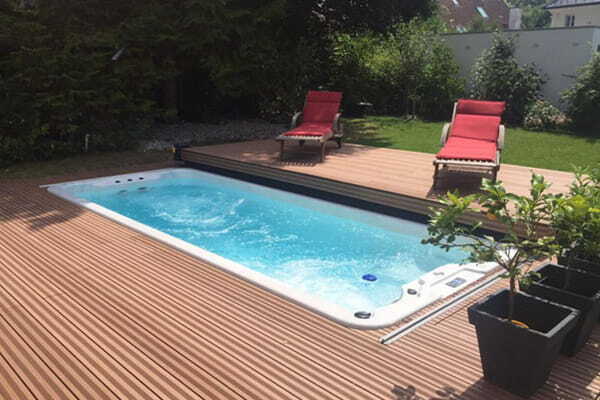 DEGAULLE Endless Swimming Pool not only combine with heating and SPA function, but also has different installation methods, such as half-embedded, floor -standing, embedded method. So it can offer different installation methods for you to choose.